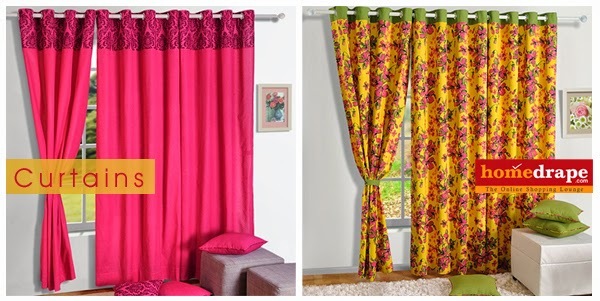 Readymade curtains coming these days first need to be used in the place of traditional ones. Move on from the fuss of hooks and rings and say hi to eyelet drapes. They make the whole process of mounting and removing so much easy. Then, there is choice between solid curtains, printed and digitally printed. Each one of them has some extraordinary feature, you need to find out which one would suit your décor needs the best. There are foldable lengths attached to readymade drapes which you can adjust easily for the close fit. You would be amazed to know there are matching tie backs too to get a hold on curtains stylishly. And why just windows when doors too could be equally appealing. Find out the designer curtains for your home interiors and entrap the inviting, cozy ambiance inside forever.